This morning we were once again on the way to an art museum- first the Galleria dell’Accademia (dedicated to all things Michelangelo) and then the Uffizi museum. I will be honest, I am not the biggest art person and while I find it all beautiful, sometimes don’t totally understand all the back story of what went into the piece and if it has to do with mythology, get a little confused/overwhelmed. 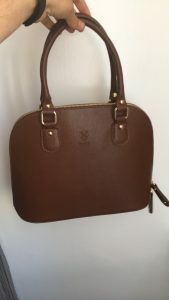 So I was a little nervous setting out for a full day of art viewing but I was pleasantly surprised and really enjoyed it! I wish I was kidding when I said 50% of the statues we saw were of naked people but that was most definitely the case. The pieces all have a detailed and purposeful meaning behind them and the artists pour a lot of work into them and are trying to communicate an important message, (which you have to appreciate) but after a while a girl just needs to see some clothes. However, there was one naked statue that I knew I had to see, although I had no idea what to expect. We waited in the long and winding line to enter the Accademia, home to Michelangelo’s David statue. As soon as you round the corner, the 14ft. white statue immediately comes into view. It really is breathtaking. 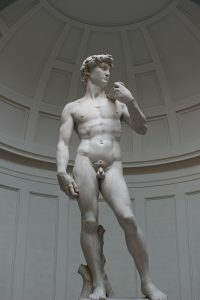 The detail is ornate and so human-like and something about David’s stature compels you to relate to/empathize with him. 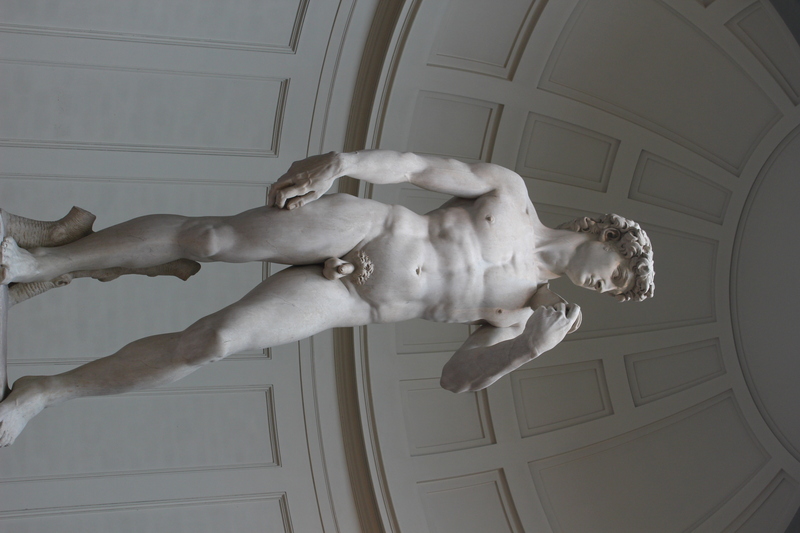 The statue is supposed to be a snapshot of David as he is about to walk into battle with Goliath and every detail of his body communicates that he is tense and nervous, preparing to conquer Goliath. I appreciated it way more than I ever thought I would. As I walked away, I realized how famous this work of art is and how many people travel long distances to see it, I left feeling very grateful and excited to say now I have been there too. Our professor, Dr. Watson, took a group of us to one of his favorite lunch spots, a huge food court style market with every kind of Italian cuisine you could imagine. It was so yummy! After eating and cooling off, we met our tour guide. She was taking us to the Uffizi museum, the most famous and most traveled to art museum in Italy. The art here was beautiful and what I admired the most was the beautiful and ornate golden frames that enclosed the artwork. And I just realized I kind of forgot to take pictures of any of that.. Oops. 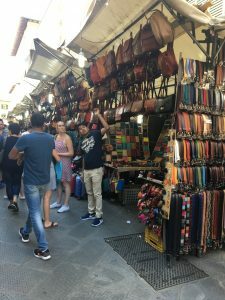 When we ended our tour, we left our fanciness and cultured selves at the museum and headed to the streets for the LEATHER MARKET! Whoo! 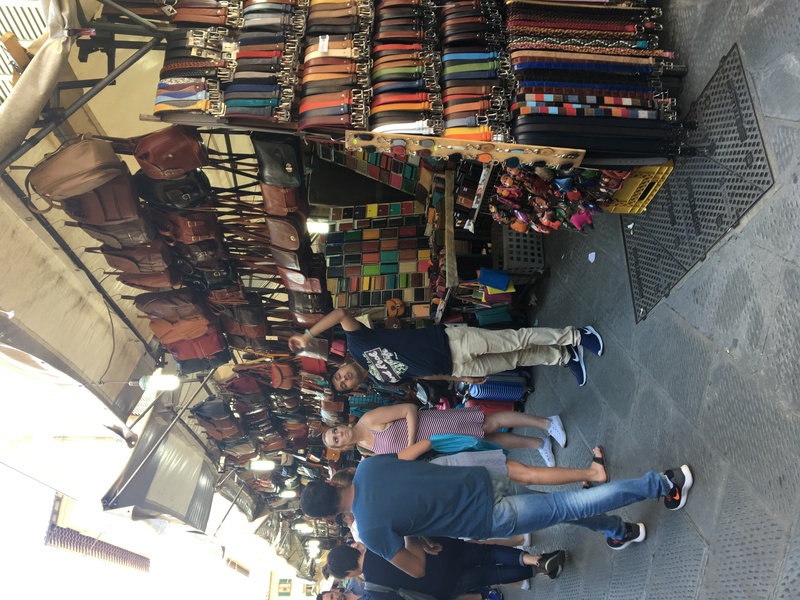 Girls from last year had advised us to save our money and to spend it here at the Italian leather market, one of the many things Florence is famous for. It was a blast. Very random and slightly sketchy kind of like Chinatown in NYC where you bargain with the workers to get the purse you are madly in love with down from $50 to $20 because that is ALL you have with you (okay clearly you have more but you tell them that is all you can pay and wheel and deal). We spent a good two and a half hours here meandering from booth to booth in search of the best deal. We ended the night with another yummy dinner and then returned to the hotel to write our essay that was due the next day- the actual studying part of study abroad haha. It is kind of easy to forget this isn’t just vacation! Tomorrow (Wednesday) we head to Siena and I will have wifi again! Wahoo!